Yeah! 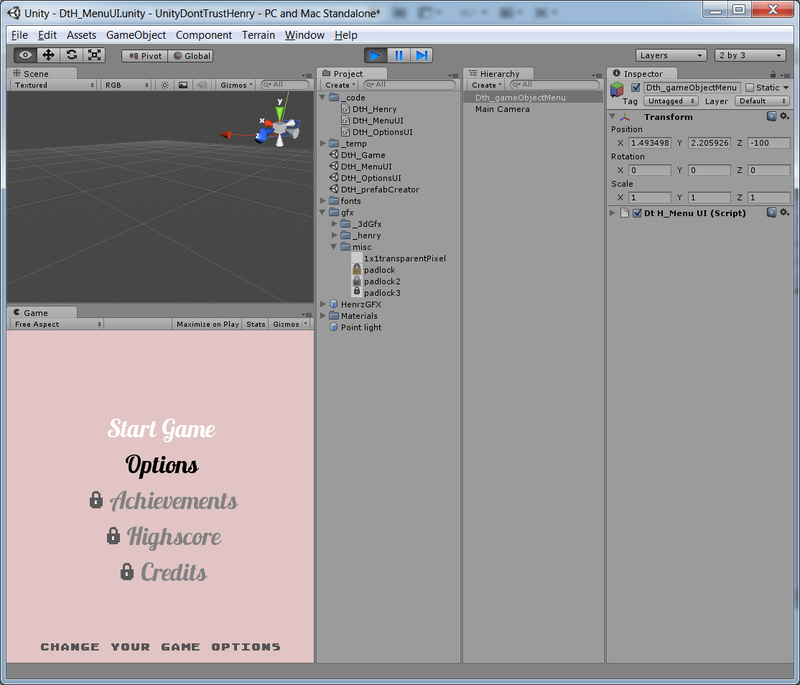 This night I was working on the GUI again. I added some flags for locked and unlocked content. There are labels now for displaying descriptions and other cool things. I’m currently working on the options UI with customized sliders for soundFX and music …but I guess… I need to sleep first.